The Minister for Communications, Climate Action and Environment, Richard Bruton T.D. 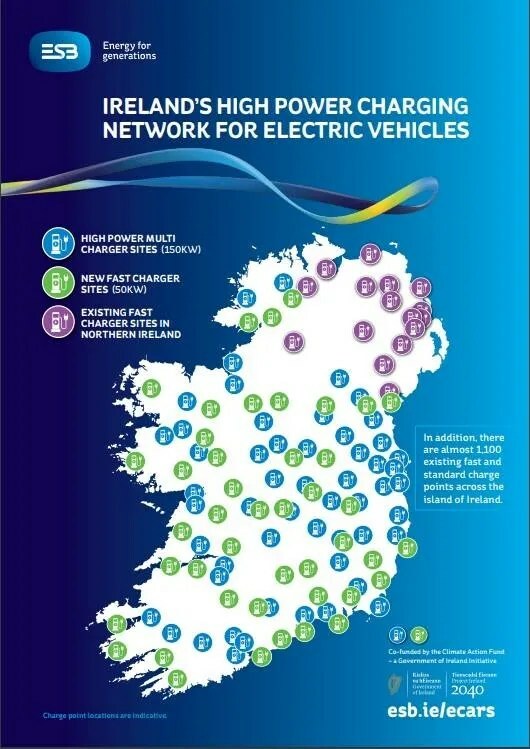 has announced that €20m is being invested to fund the rollout of high powered chargers across ESB ecars network. These new sites will be in addition to the 1,100 public charge points already located across the island of Ireland. According to sources, this network will be able to facilitate the public charging requirements of hundreds of thousands of vehicles.